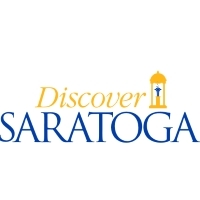 Play Saratoga Spa and The Sagamore and stay two nights at the Holiday Inn on Broadway in Saratoga or the Inn at Saratoga, which are both on Broadway. Saratoga Springs is known as the The Queen of the Spas. If you enjoy rest and relaxation bring your golf clubs and play some of the areas top golf courses. Planning a golf trip to Saratoga Springs or looking to golf while traveling? Architect: Alan Hills Sr. & Alan Hills Jr. Looking for Saratoga Springs lodging for an upcoming golf trip? Plan your visit online through TripAdvisor.com. Search for hotels, flights and attractions and more. Get specials deals, low rates and a convenient way to plan. Planning has never been this easy. Been to Saratoga Springs? Write a review to help future golfers plan their golf trip.